Am going to share the latest 9mobile free browsing cheat today so that you can start browsing free link others are doing. 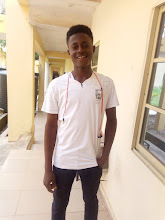 This 9mobile cheat that am about to share now has been tested and is working, in fact is what am using to write this post. So continue reading because this etisalat free browsing cheat is blazing hot 🔥now and i am going to share it now. I never believed that am going to discovere this etisalat cheat due to how difficult it is. But don't worry because I have made everything easy for your understanding. Should I shock you? This 9mobile free browsing cheat has been existence for almost a year now, and the people that is enjoying it are those that joined my WhatsApp group. ✓ can only be used on UCmini Browser and ADM. Step 2: Open any of the virtual private network app you have downloaded and tap on the "Start or Connect " button. Step 3: Lunch the UCmini browser to brows (if it doesn't work, use data to get your download link expecially from sites like o2tvseries.com, tvshows4mobile.com and mp4mania.xyz) once the VPN is connected. For faster download speed, copy the download link of the file you want to download and pate it on the ADM (click on the plus(+) icon, then paste the copied url section then click on start your download will start immediately). 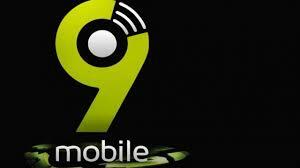 Enjoy this latest 9mobile (Etisalat) unlimited free browsing on your android device. Don't forget to join our WhatsApp group so that you can get notified of any free browsing cheat.